John and I have been meaning to do hiking for a long time. We've actually done short hiking in Tanay some 4 years ago. Then we were at Sagada last month for a 5-day hiking, unfortunately our trip was cut short due to the passing of my dad. I always believe there's a reason for everything. Maybe we weren't that prepared to explore the whole of Sagada. 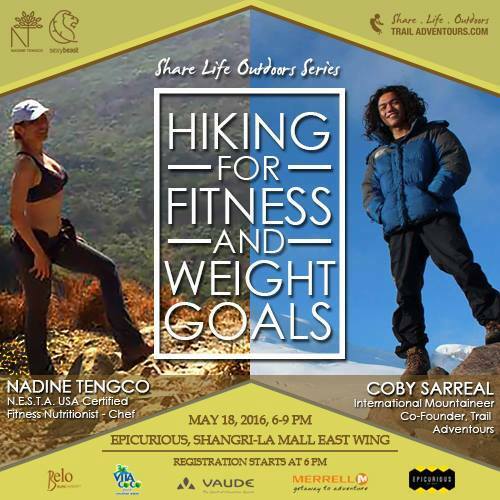 Good news for us, and for those who are interested in hiking because International Mountaineer, Coby Sarreal and Chef Nadine Tengco will be having a talk, entitled Hiking for Fitness and Weight Goals, on May 28, 2016, from 6pm to 9pm, at Epicurious - Edsa Shangri-La, Mandaluyon City. This talk will touch on topics such as correct body alignment for maximum performance, nutrient timing - what to eat before, during and after, and so much more! 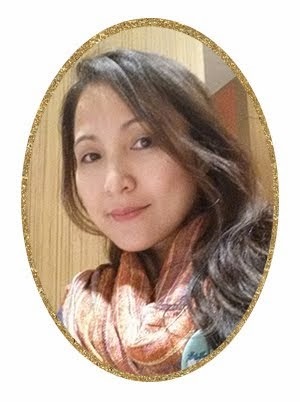 Coby and Chef Nadine will also discuss the difference between ‘hiking to get fit’ and ‘getting fit to hike’, and show how all those can be used to design a progressive fitness plan.